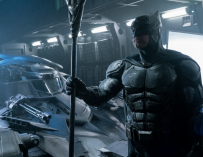 Wonder Woman was the focal point of the recent Justice League promo video, which she should be, however, it seems as if Batman might have stolen the spotlight. Let me explain. There’s a brief clip of Batman doing what can only be described as the perfect superhero landing. Deadpool would be proud. He basically lands right in front of Wonder Woman. How rude. That said, Diana Prince is still able to look effortlessly cool, despite Batman’s obvious showboating. 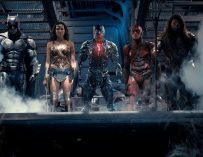 Check out Justice League’s promo video for yourselves below, courtesy of AT&T. Fans across the globe have come out to praise the shot, which many people seem to be credited as Zack Snyder’s work. This is probably true. Say what you will about Snyder’s movies, one thing he knows how to do is direct a good-looking picture full of spectacular set pieces. This moment could definitely be seen as one of those standout moments. This is the kind of scene that’s designed to make your hairs stand on end, and it really does succeed. The Caped Crusader’s entrance in this instance is quintessentially Batman. We’ve seen him do it in Batman: The Animated Series, Rocksteady’s Arkham games and there was, of course, Michael Keaton’s iconic entrance as Batman which is hard to forget and has in many ways become the superhero’s signature move. Check out some of the tweets below. People just can’t seem to hold it together when it comes to Batman, and hopefully, this might be a shot that Ben Affleck can look back on with pride. This particular Dark Knight-related moment seems to have people very excited to see Justice League, and yes, I’ll admit it, it’s a pretty cool entrance. Ben Affleck’s portrayal as Batman has arguably been one of the best. It’s just a shame that he hasn’t had a film that showcases that fact yet. Perhaps Justice League will be the movie Ben Affleck deserves. Fingers crossed. 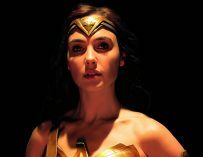 You might also be interested in our articles on Thor: Ragnarok, Star Wars: The Last Jedi, Deadpool 2, Solo: A Star Wars Story, The New Mutants, the follow-up to Logan, the Venom movie, Captain Marvel, Avengers: Infinity War, the Deathstroke movie, Jurassic World: Fallen Kingdom, MINDHUNTER and much more. And also make sure you check out our review of Thor: Ragnarok. 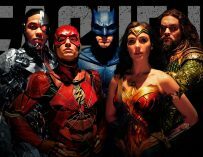 Justice League hits UK cinemas on November 17th. What do you make of Batman’s entrance in this promo video? Let us know in the comments below.